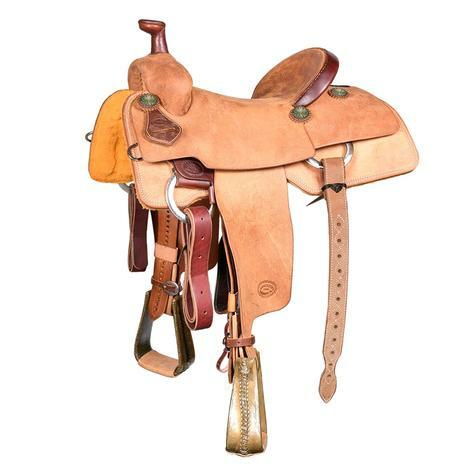 STT used team roping saddle with a 14" tan suede seat. 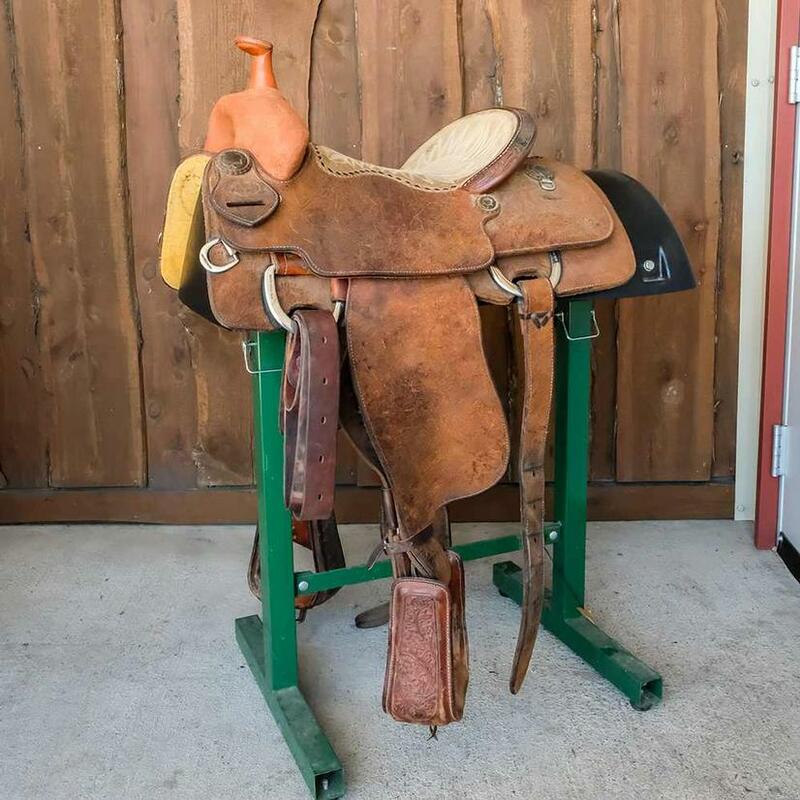 This is a 14" used team roper in full roughout by South Texas Tack. 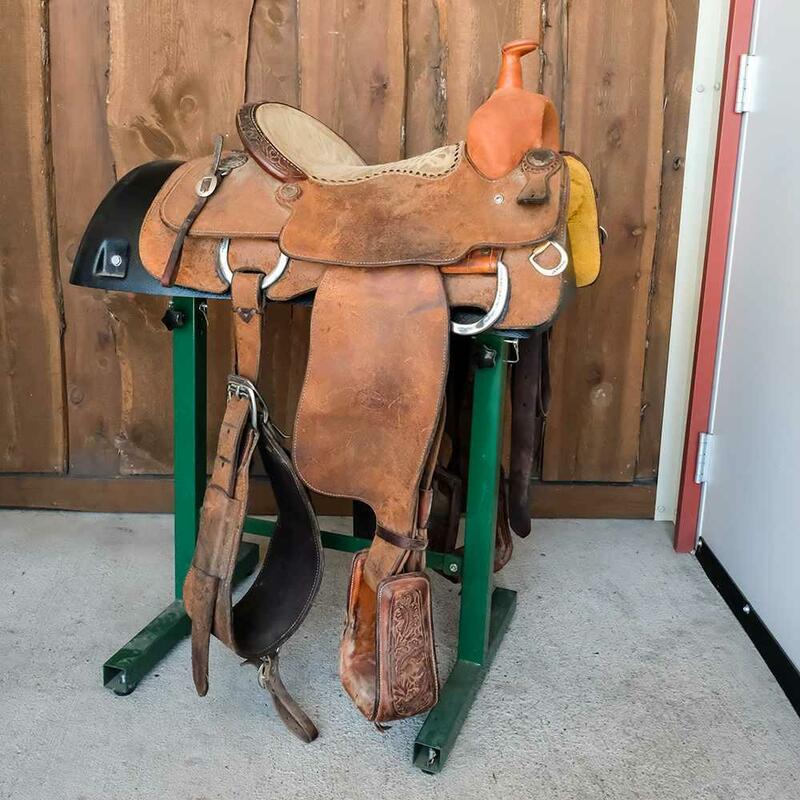 This saddle has brand new swells and horn, also comes with off billet, tie strap, back cinch, and tooled leather stirrups. 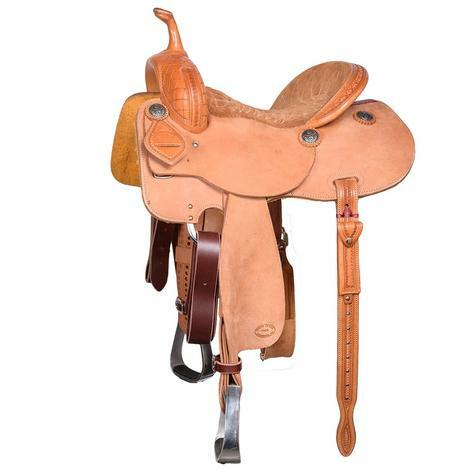 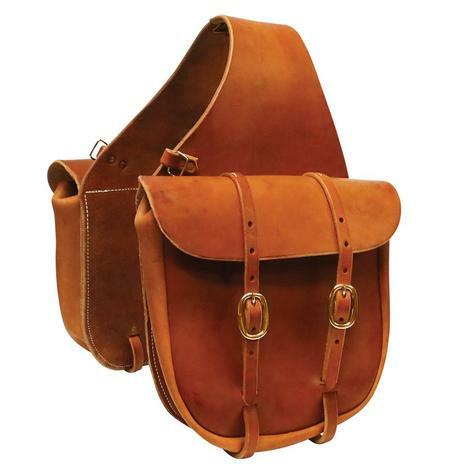 Call us today and get this saddle ordered!